Miniature ZC Series, Connector from Cliff Electronics. Cliffcon connectors are designed for general industrial multi-pole power connection. Cliff manufacture three ranges of Cliffcon connectors meeting the safety requirements of EN60065, IEC348 and IEC1010-1, with an operating temperature of -20 to +80ºC and provided as complete cable assemblies if required. The Cliffcon 4 pole connector has been designed for high power applications and is housed in a tough shell with a locking/unlocking mechanism, integral cable clamp and a cable entry gland which may be trimmed to accommodate various cable diameters from 6-15mm. Gold plated pins are included and the connector is fitted with a leading ground pin, preventing arcing if disconnected while under load. The Cliffcon 4 pole connector is available in 250 volt and 120 volt AC versions with a 20A RMS current rating and has coded keyways to prevent accidental misconnection. 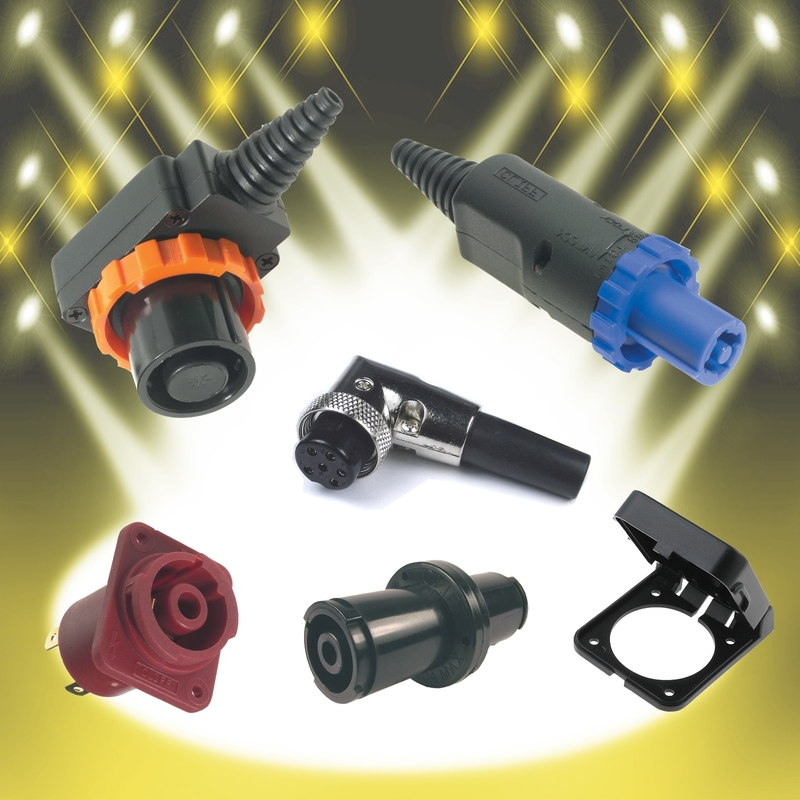 A range of plug terminations are available including Faston push connectors, screw or solder terminals. Cliffcon 4 pole plugs are available in straight and right angled versions and the matching sockets are available for countersunk or self tapping screw fixing to panels, with horizontal and vertical PCB mounting versions. 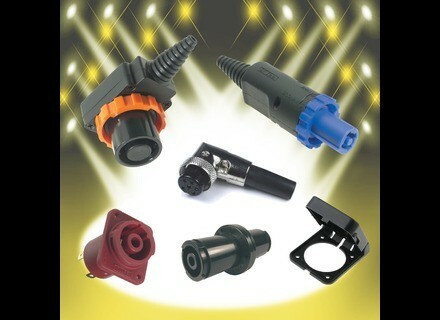 Inline couplers are available for Cliffcon 4 pole connectors to allow power leads to be extended if required and other PCB adapters are available on request. Cliffcon 8 pole connectors have the same features as the Cliffcon 4 pole range while being rated for high power applications at 250 volts AC and 10A RMS. The Cliffcon 8 pole plug is right angled and has vertical PCB and panel mount matching sockets. An optional protective cover is available for the Cliffcon 8 pole connector range providing improved socket protection when disconnected. Completing Cliff Electronics Cliffcon range is the Miniature ZC Series of plugs and sockets which may be specified with 2 to 8 poles with either straight or 90 degree plug versions. Primarily intended for low voltage and signal applications the ZC series is rated at 1A per pin at 48V DC maximum and provide a multi-pole connection system. For more information visit www.cliffuk.co.uk. [Musikmesse] RME Audio BOB-16 Breakout Boxes RME starts shipping three different BOB-16 breakout boxes - rack solutions for interconnecting multichannel XLRs with the common D-sub connector format. New RØDE MiCon Connectors RØDE Microphones announced the release of three new MiCon connectors to add additional compatibility with its line of wearable microphones that include the RØDE Lavalier, HS-1 headset and the RØDE PinMic.